Get the Best Amenities for your Destin Fl Rentals. Why renters can’t use the Good stuff? Lock it up so the renters don’t use it! It’s a matter of Attitude. Really it is a philosophy the owner has about beloved things and sharing them with his renters. There are so many Destin Fl rentals out there , make sure you get the best amenitities you can. I’ve seen it throughout my journey as a property manager. I remember when I met the owner of Doctors Order prior to purchasing it. I commented to him about how things were pretty beat up and his reply told me a lot. He said, “why bother fixing this stuff as the renters will just tear it up”. Prior to purchasing our beach house in Destin Florida, I acquired 4 rentals in the Atlanta area. Over the years I’ve heard many landlords express that same sentiment. These same landlords are usually the ones complaining about people not paying rent and having to go through evictions all the time. What I learned over the years is that if you don’t want to be a slumlord, you need to present a place the families will take pride in living in. This has been my mantra over the years and I’ve never had the problems others seem to have repeatedly. I also learned from many business ventures that most of the times, the people demanding the steepest discounts are the ones that cause you the most headaches. If you offer a good product, and people appreciate it, they will realize the value and pay for it. So while most owners have the mindset that it saves them money to with hold the nicest things they have from you, I realize that it is those nice things that will make you feel good about the place you choose as a Destin Fl rentals. When I do upgrades on any of my homes, I always go top of the line. I’m never frivolous, but the wife and I do not skimp. We want you to feel like your vacation is at a place that is nicer in many ways than your own home. 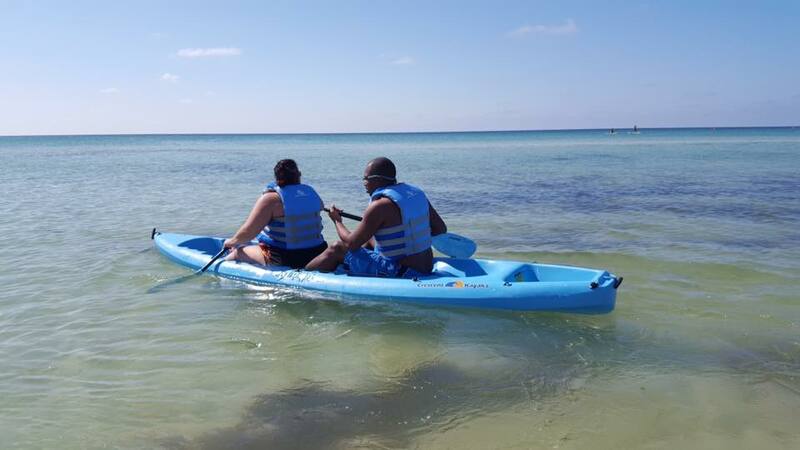 We want you to be able to enjoy all the activities that the area calls for. So for the Crystal Beach area, everybody should be able to enjoy a bike ride, or go kayaking in the ocean. This is why at our beach house rental we have all those things, and share them with you. We also see those wonderful Beach Umbrellas and Chairs that you can have if you shell out $35 every day. We think you should have those too, so we had some made up with our custom logo on them. When you choose Doctors Orders out of all the Destin Fl rentals, you will notice things like a top of the line BBQ, Keurig and Cuisanart coffee makers, new pots and pans, glasses, adorable Bedspreads, etc.. All of this is part of the mantra that if you love our house as much as we do, you will treat it with respect. Yes, these things are costly and allowing our guests to use them will wear them out much quicker, and some things will get lost or even broken, but in the grand scheme of things where appreciative families are paying good money to stay at our Destin Fl rentals, we will fix or replace as needed. Through our first three years of renting the Destin beach house, this attitude has worked as well as it has back in Atlanta. Our guests have been a pleasure to deal with. Here are some other reasons taken from the main website, why you will love renting Doctors Orders Beach House. Isn’t it easy to get sick of work, sick of stress and sick of a fast-paced life these days! The cure? A quiet getaway at your beach hours rental in Destin Florida should be Doctors Orders in Kokomo Cove! Out of all the Destin Fl rentals available, this one is rare. Doctors Orders sits just enough off the beaten path to offer real peace and tranquility. Most of all, there are no parking lots, cement jungles or noisy neighbors here! It’s wooded surroundings encompass views of two inlets. The Destiny West lake speckled with charming wildlife that call it home. Another pleasant side effect of Doctors Orders is its location near Destin’s most powerful medicine- the soothing Gulf of Mexico. Head two blocks from the front porch and see the sun sparkling on the emerald water like diamonds, feel the powder-soft sand between your toes and listen to the rustle of sea oats in the Gulf Breeze. Therefore, this powerful combination is sure to heal whatever ails you! Also Noteworthy is how Kokomo Cove’s entry also crosses a newly paved walking path that stretches the length of the beach road. Furthermore, restaurants, shops and even golf courses dot this scenic route and provide entertaining way-points for a sunny bike ride. In addition to the natural beauty all around, be sure to view the full photo gallery and a Virtual Tour is here or by clicking “Beach House” on the menu. Quotes can be found here. This Destin Fl rentals beach house is just one block from the sugar white sands of Crystal Beach. The clear waters of the Emerald Coast will leave you awe struck. During the season the water is warm and Crystal Beach is shallow enough to walk out for quite a way. See the live cam feed of Crystal Beach, Destin Florida, just a few hundred feet from our private beach access. You will be amazed when you look down through the clear waters. Then you will see your feet at the bottom with fish swimming around your ankles. The white sands of the shore are so pristine you will enjoy walking in it. Sea creatures are all around for the observant eye to muse at. Of course the main part of the day is why most people come, to enjoy the warmth beneath their toes, and feel the sun on your skin. However, if your staying right by the beach, one must take in a walk with friends and loved ones during sunrise. The tranquility is just what the Doctor Ordered! Since you’re in no hurry to get back, be sure to stay through dusk. Just when you thought the sights of the day were better than you’ve seen in years. You can look up and enjoy the sunset on our Destin Fl rentals with nothing to obscure your view for miles. 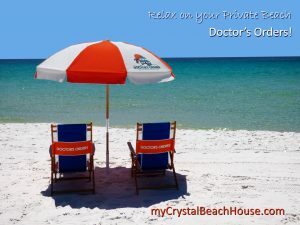 We hope you select Doctors Orders as your Destin Fl Rentals because we share all the Amenities for your Beach House Vacation. Emerald Coast Golf – Astounding! WHY EMERALD COAST HAS SUGAR WHITE SAND? 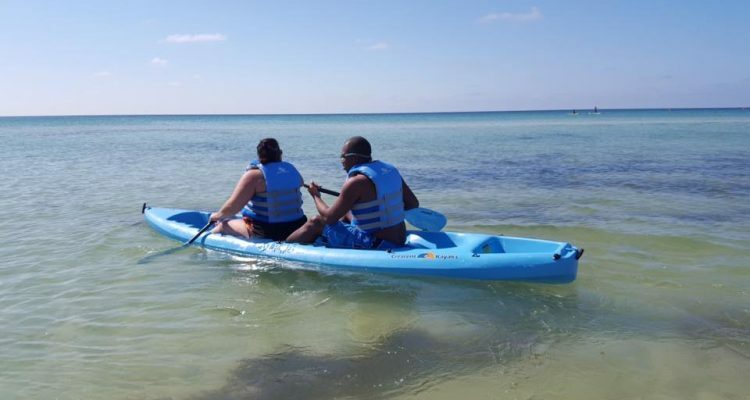 ROMANTIC DESTIN – DURING THE OFF SEASON! 10 Places to Enjoy Live Music in Destin! Best Breakfast in Destin Florida!